Are you a fan of combining workouts and sports tracking devices? Or do you plan to be? Then you will be interested in "Using Smartphone Apps With Interval Training," the first book about setting up and using Endomondo Sports Tracker and Strava Cycling for sprint training. 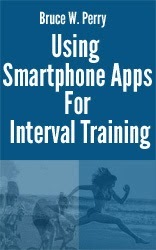 "Using Smartphone Apps With Interval Training" includes numerous screenshots from both the cell-phone apps and the web dashboards that they offer their users. The chapters include an interval-training introduction; another on how to set up sprint training on Endomondo and Strava, as well as more detailed info on interval protocols, with references to technical papers and other topics such as the Borg rating of perceived exertion (RPE). "Using Smartphone Apps With Interval Training" is the first in an Inside Sports Tracking series of concise briefings on training and sports tracking apps.